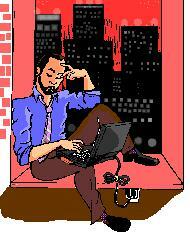 Blacks Gone Geek: Chronicles of an IT Job Seeker: I'm happy to be alive! Chronicles of an IT Job Seeker: I'm happy to be alive! We’ve been busy at Blacks Gone Geek. I’m leading the planning and implementation of Office 365 SharePoint platform migration project from Microsoft Office Live for Small Business. I’m leading a 10 person virtual team using agile project management methodology and mind maps. We’re moving the full inventory of Microsoft Outlook email, contacts, calendars, 372 documents, 219 images and 191 web pages. We’ve started a consulting practice at Blacks Gone Geek specializing in Microsoft Office web apps on Microsoft Office Live for Small Business and Office 365 SharePoint platforms. Office 365 SharePoint skills are in hot demand. Already one of our volunteers has found a job opportunity by leveraging experience gained on the Blacks Gone Geek transition project. And we joined the Microsoft Partner Network and Microsoft Office 365 Marketplace to expand client base. We’re meeting with our first client on Monday and discussing business requirements to move 3 websites onto the new Office 365 SharePoint platform. Life is good. I’m happy to be alive! That's fantastic Milt - The trend now is definitely oriented toward starting your own business. Much success! You're using an agile methodology. My capstone project for my undergraduate degree (DePaul University 2011 B.A) was to examine the choices of agile development methodologies relative to corporate cultures and design a project plan that matched the appropriate agile methodology with the business culture. Are you using a specific methodology or are you hybridizing your methodology to fit your project? You can respond on: facebook.com/valentineced , www.linkedin.com/in/christopherevalentine, or valentineced@email.com . Very impressive! Great to see African-Americans in the IT field collaborating to determine their own economic destinies. Please keep us posted on the project's progress. I just loved the article, worth reading to read for information.